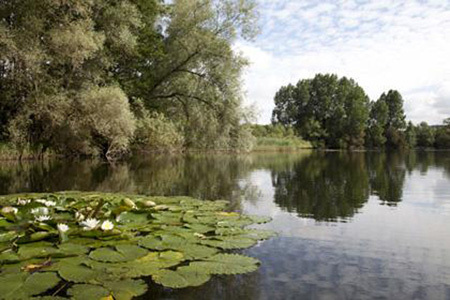 Funding support from Fareham-based waste management company Cleansing Service Group is helping Wiltshire Wildlife Trust to establish a new wetlands wonderland at its Langford Lakes nature reserve in the heart of the Wylye valley near Salisbury. New projects planned at the reserve include the creation of a wildflower meadow, tree planting around a new lake and the installation of new pathways and signage. Funds will also be used to make the attraction more accessible for visitors to the reserve’s education centre and the River Wylye. The new wetlands improvements programme – the latest phase in a project which began 10 years ago when the Trust purchased the lakes – should be completed in September. CSG associate director Ian Carnell said: “We’re very pleased to support this project and to help the wildlife trust make an already beautiful nature reserve even more accessible to visit and enjoy. CSG, which is also a corporate supporter of Hampshire Wildlife Trust, has in the last 15 years awarded nearly £1 million to environmental and community projects in the area surrounding the company’s landfill site at Pound Bottom near Salisbury. The company has also been supporting the World Land Trust since 2007, funding the purchase of nearly 100 acres of tropical forest as part of a campaign to preserve threatened habitats.